Sorry for not posting anything for a while but I have a few updates that will be coming out in the next few weeks. This was a successful first year TOR. There were 28 tables sold with 76 people in attendance. The TOR almost sold out of tables but there is room to expand for next year. Most of the feedback was very positive. There were a few lessons to be learned but I felt over all it was very well done. We received a great number of patches to be auctioned off during our summer camp auctions to raise money for Monaken Lodge 103.I would like to thank all in attendance and that supported us in creating this event. Look for a flier to be out in the next few months advertising for next years event. 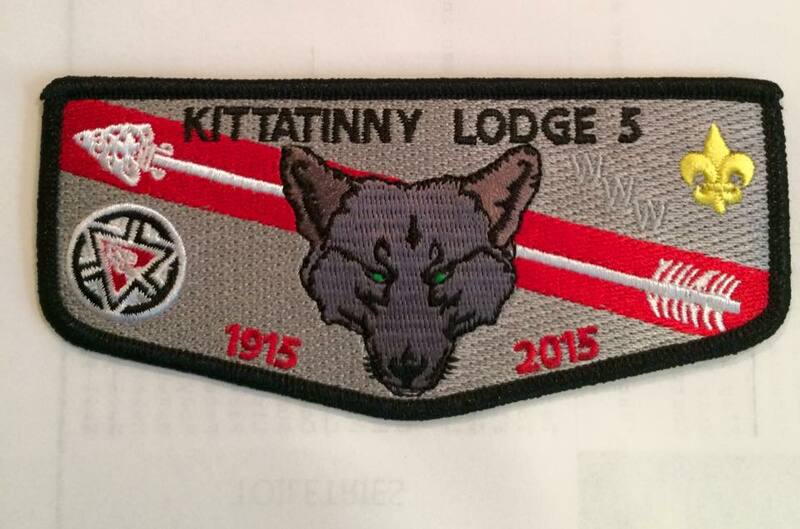 We will be offering a free table to any lodge that would like to sell any of their lodges patches. If you have any ideas or further comments about this event please message me directly. 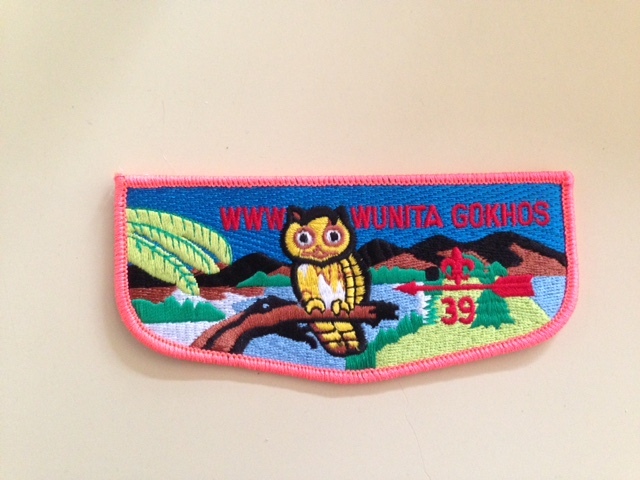 Wunita Gokhos 39 presented its 2014 Participation Award flap at its 2015 banquet Feb 21, 2015. When given the choice, youth lodge members chose a bright pink border for the flap. This may be the last participation award flap from the lodge as discussions have moved to a round with rockers for various years and special events. This flap is now available and is able to be purchased in unlimited quantities. The lodge is using this as their new standard flap. The flap is considered a 100th anniversary lodge issue. The 168 Executive Committee has also recently approved designs for a Conclave flap and a NOAC set. More information will be posted on these flaps, as well as other potential new issues, later in 2015. 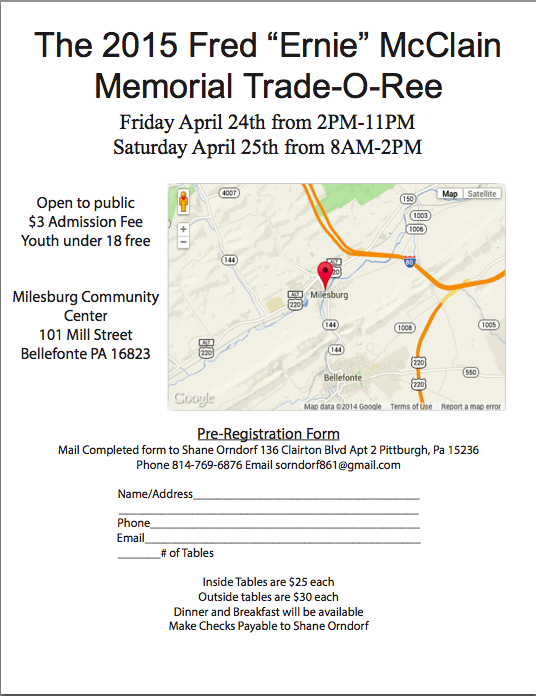 The First Annual Fred “Ernie” McClain Memorial Trade-O-Ree being held just outside of State College, Pennsylvania. 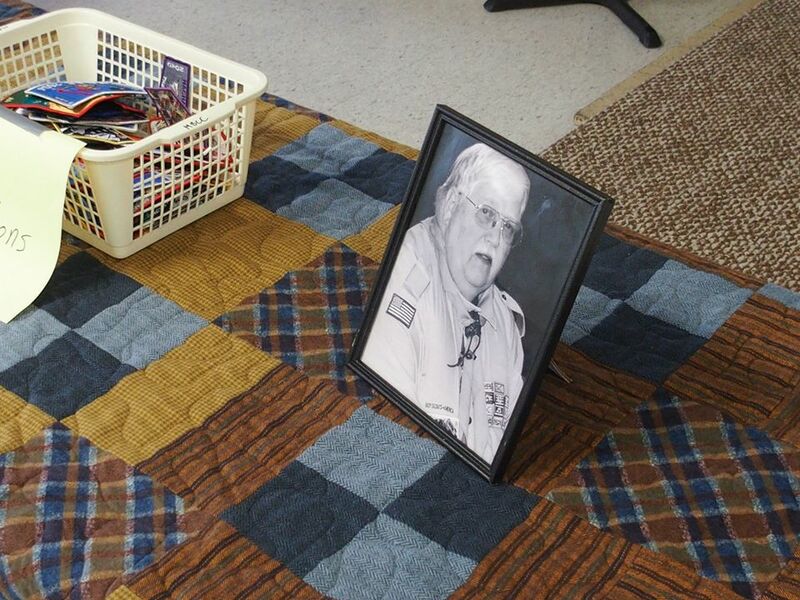 Fred McClain was an active member of Monaken Lodge 103. He was also a very avid collector of Western Pennsylvania OA. Attached is a picture of the Flier and below that is the link to download the PDF. 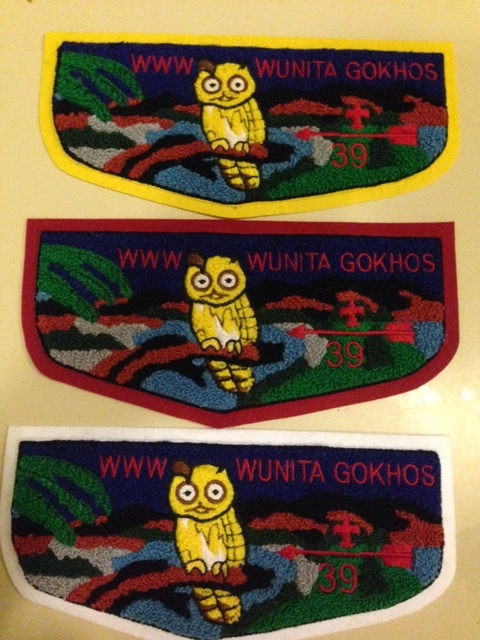 At its Fall 2014 Ordeal September 26-28, Wunita Gokhos 39 released its first chenille set in quite some time. This set was produced as a NOAC 2015 fundraiser and only 120 were produced, 40 of each color. Each chenille is 8 inches wide and designed to look like the lodge’s standard OBV flaps (Ordeal=yellow border, Brotherhood=red border, Vigil=white border).